This article was submitted by Maureen Jennings, read more about Maureen in the author’s bio at the bottom of this post. As Christmas grows ever nearer, it’s likely that you’re beginning to think about how you want to spend the holidays; particularly if you’re a traveller. You could find yourself longing for home comforts, signs that it’s Christmas, and a delicious and traditional meal when the big day finally arrives. If this is the case, and you’re a little apprehensive about spending the occasion so far from home, follow these tips on how you can beat home sickness by spending Christmas time in Brittany, France! The majority of Europe has an air of romance about it around November and December, but Brittany is the most festive region of them all. 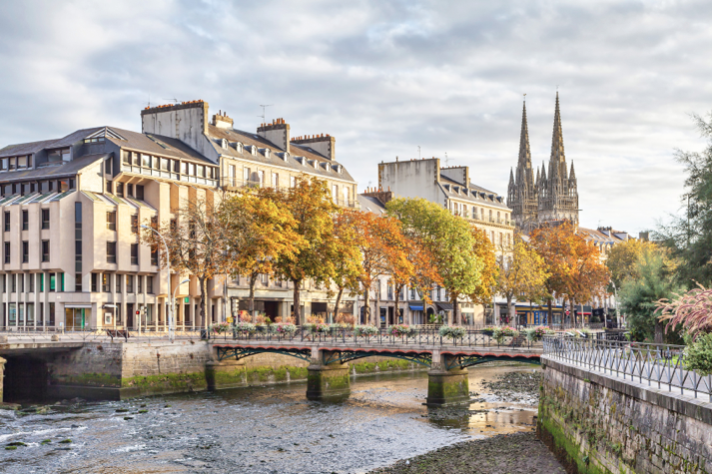 Whether it’s the chill in the air, the famous seasonal markets in Rennes, or the chime of church bells, Brittany is a safe bet if you’re particularly worried about spending the holidays away from home. For those who weren’t planning on visiting a different country over the festive period, Brittany will change your mind. 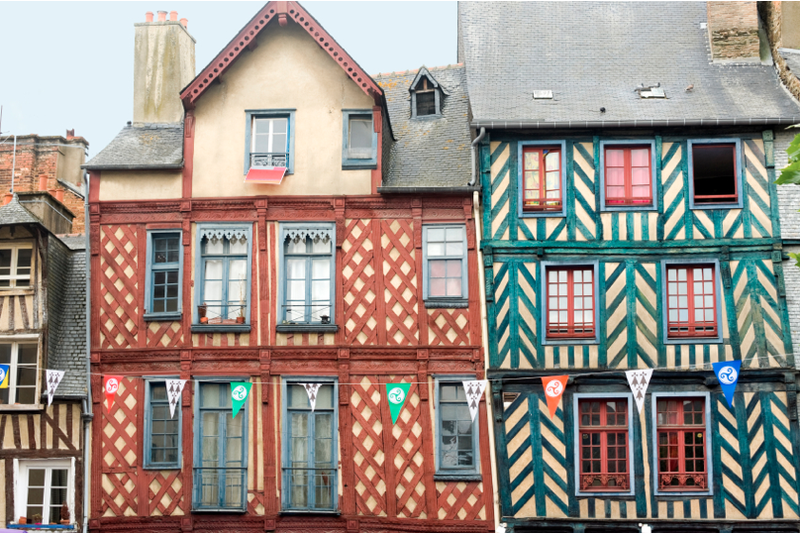 By planning a getaway to Brittany over Christmas you get the best of both worlds – you can celebrate how you would at home, but experience the culture of another country. Even if you don’t understand French, going to church on the big day is a great way to soak up some of the atmosphere. If you’re constantly on the road, you’ll undoubtedly value experiences over material items. Not only do they provide you with more enjoyment, but you may not even have the room to carry gifts if you do receive any on your travels. Therefore, treat yourself by booking a table at one of the many local restaurants across the region for a traditional Christmas meal. Furthermore, if you choose to eat out either side of Christmas day, Brittany has a range of specialities to boast about, such as pancakes and their seafood dishes. Then decorate your accommodation with tinsel and baubles to bring a touch of home to Brittany. If you do fancy treating yourself to something a little extra, find something that is relatively inexpensive and easy to pack, such as earrings. Note: Nomadic Matt has a great guide to France. Check it out here! Being far away from home on what is traditionally a very family-orientated holiday can be difficult. Therefore, try and ensure that you have someone to spend it with, such as your travel partner or companions that you’ve made along the way. Also ensure that you contact home to perk you up. Speaking to loved ones will enable you to wish them a merry Christmas and keep up-to-date with how they’ve spent their day. In fact, the internet allows you to make the most of life at home and abroad during the Christmas period. You can speak to your relatives while simultaneously having the ability to explore a new place or country while it is relatively quiet outside! Who know what you’ll discover. You’re in a beautiful part of the world on one of the most gorgeous days of the year so make sure that you enjoy yourself. Being a traveller means that you more-or-less have complete freedom to do whatever it is you want, so make the most of your journey by spending Christmas in Brittany! Maureen runs Jantom Holidays with her husband Dan. They have let self catering accommodation in Benodet, Brittany and lived on-site for more than 10 years, so they know all that the region has to offer around Christmas time!